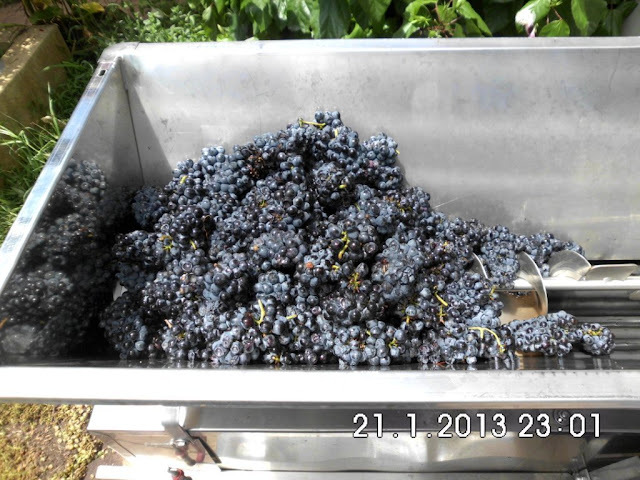 Well 2013 vintage in the Hunter Valley NSW Australia is shaping up to be another disaster. The whites are mostly in. I managed to get some Chardonnay, Semillon and Sauvignon Blanc from a good vineyards. Also a little Pinot Noir. It's surprising how some vineyards are so generous in allowing amateurs to pick (and pay) for a few small quantities of grapes for home winemaking. It always seems to be the viticulturists who are happy to oblige and generous with their time. Some liberal and sincere praise for their efforts in producing a quality product does not go astray. I suspect sometimes that the vineyard's winemaker may not offer as much praise. I'm of the opinion which is shared by many that it's easy to make good wine with good grapes. The winemakers skill is required to make a silk purse from a sow's ear. Picking grapes from a large commercial vineyard isn't simple. Got to remember the samples taken by the viticulturist reflects an average from the entire variety. Last year we picked the Chardonnay from the short bottom rows to save the vineyard having to run a picking machine through them. Well that was a mistake as being at the bottom of the hill they were maturing in a slightly cooler environment and consequently the sugar levels lagged behind. This year we picked the same stand but did an entire row half way up the hill with a good result. With the Semillon where the tests showed sugar a little short of desired levels we picked ripe bunches only from all over the plot, again a good result. Didn't quite get it right with the Sauvignon Blanc as we picked from the eastern side (sun rising end) instead of the western end and so the sugar levels were a little lower. 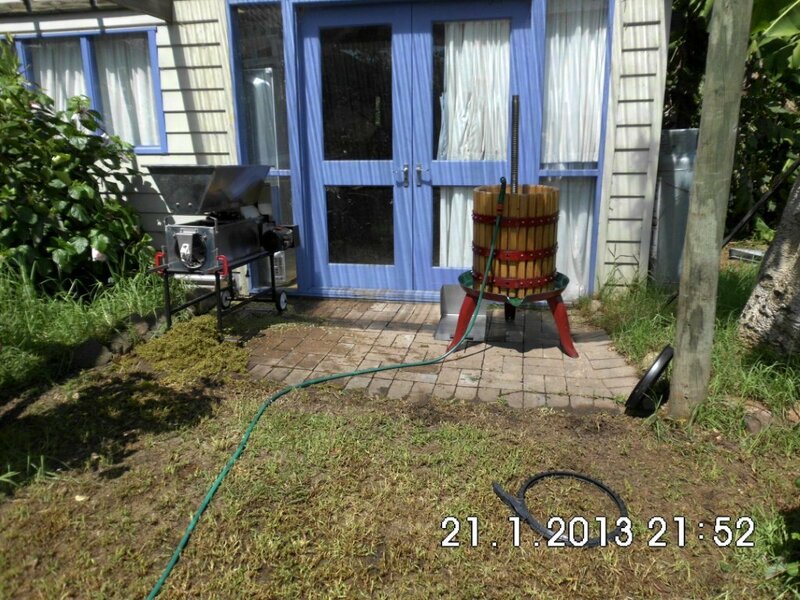 The whites were destemmed, sulphured to 50ppm and the berries chilled to 10 degrees Celsius in 100 litre plastic containers using old freezers. Upright freezers seem the best. About 16-20 hours on skins before pressing. 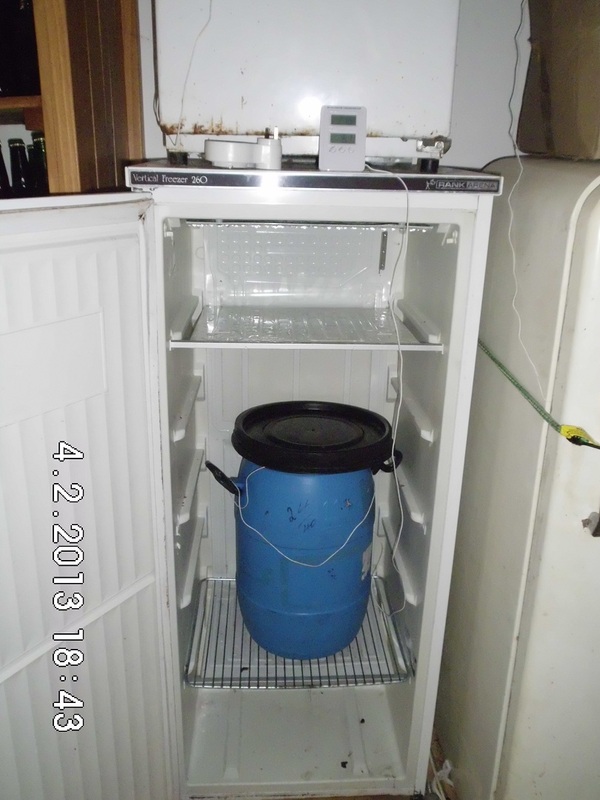 The yeast was acclimatised to a lower temperature and the must inoculated. 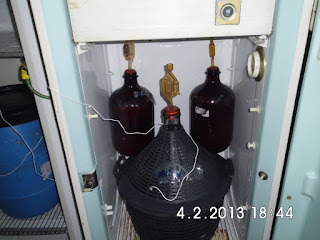 After about 24 hours, when things were fermenting well the must was gradually cooled to between 15 and 20 Celsius. 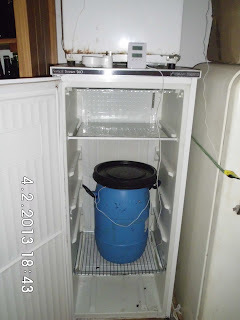 A timer on each freezer kicks in and cools. How often is adjusted depending on outside temperature and heat generated by the fermenting must. The must is in demijohns with an airlock and a temperature probe against the glass. A little yeast nutrient was added in three stages. About two thirds through the fermentation the freezers are turned off and the fermentation finishes at a higher temperature. Racked and American Oak chips added this year to the Chardonnay and Semillon. Now its just sit and wait.